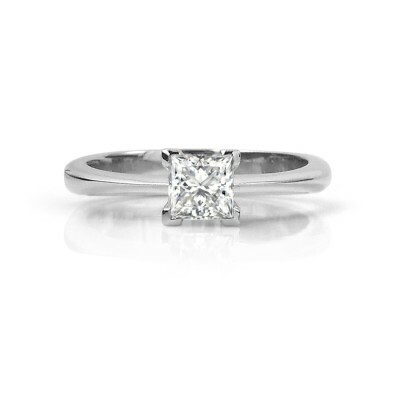 This simple but elegant 14K white gold princess-cut diamond engagement ring features an 0.51 carat, E Colour, SI1 Clarity, Excellent Cut Maximum Brilliance Canadian Diamond. 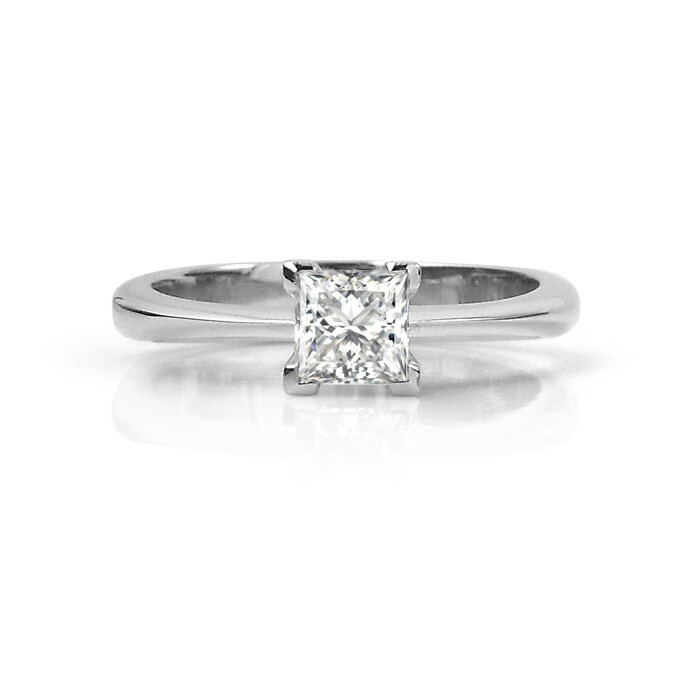 The band is very narrow near the diamond and gets slightly wider near the bottom of the finger to provide balance. The diamond in this ring comes with both GIA certification and a Maximum Brilliance Certificate of Authenticity.